The premise is that so long as event professionals (or anyone) can improve their days just 1% more than yesterday, then they are consistently growing and bettering themselves, even if in small ways. 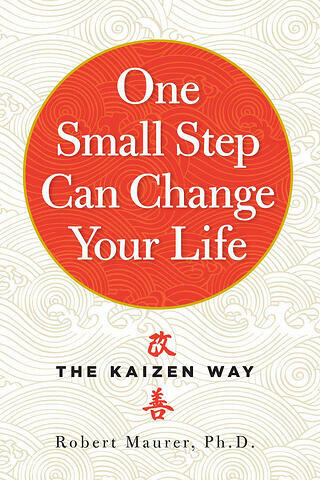 This book is a great way to understand the Kaizen principle, and a to achieve a life and career that is productive and successful. We're not exactly sure what mirror-talks or self-empowering phrases MeetingPlay's CEO Joe Schwinger gives himself every day, but we're convinced his ability to continuously be successful and grow an event technology business, has something to do with the way in which he thinks about himself. 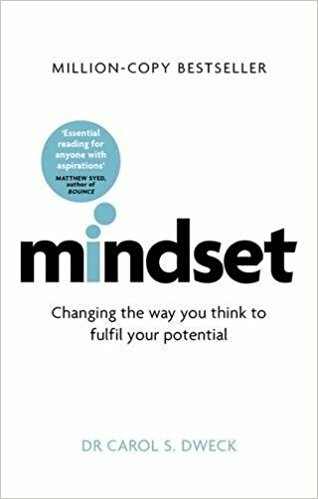 And that's exactly what Dweck's book and research prove - that a mind is a powerful tool, and we if think differently about our talents and abilities then we can increase our success, productivity, and talent. A great read for any #EventProf looking to always improving themselves and their careers! 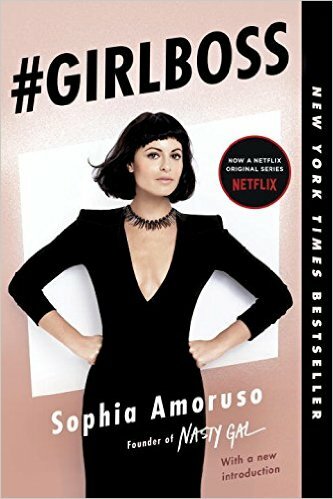 As BookAuthority said, "#GIRLBOSS proves that being successful isn’t about where you went to college or how popular you were in high school. It’s about trusting your instincts and following your gut; knowing which rules to follow and which to break; when to button up and when to let your freak flag fly." The book is a great showcase of the author, Amoruso, overcame dumpster diving and committing petty theft, to selling vintage clothes on eBay, to being a mastermind CEO and founder of two amazing companies. Whether you're an #EventProfsBoss or #GIRLBOSS or #BOYBOSS or #YOUBOSS - this is a must-read book for kicking yourself in the rear, and bettering your life and career - and in return the successful outcome of all events! Let's face it - in the event technology and events world there are a lot of 'others': other vendors, other planners, other mobile event apps, others. And sometimes even the greatest don't make it, despite being the best, or most innovative, or delightful to work with, etc. 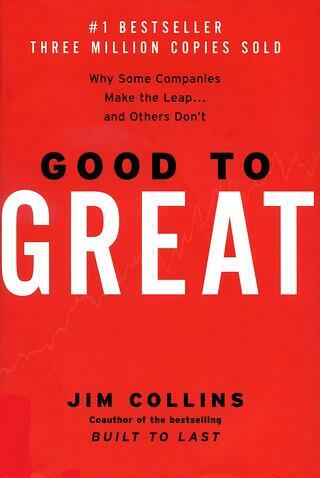 This book is a great lesson for #eventprofs to understand how they ensure that they not only survive the industry - but that they can survive not just as 'good' but as 'great'. 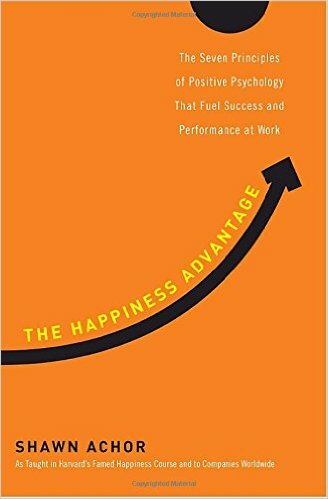 Shawn Achor is well known in the corporate world for his philosophy that company culture, productivity, and ultimately the success of any company (or individual entrepreneur, solopreneur, or event professional) is based on the ability to be happy and empathetic. As event professionals, it can be easy to get discouraged when something isn't perfect, on time, or everything we had anticipated - but we also know that this is the reality of the industry. However, should according to Achor's philosophy, event professionals learn to be happy despite differences in expectation, and empathetic of circumstances around us and others - we can achieve truly positive, engaging, and empowering career, business, and culture. Editor's pick: Growing up, I loved to read. However, after too many books forced to be read in college, it seemed my love to read (at least in the traditional, not online sense) disappeared. 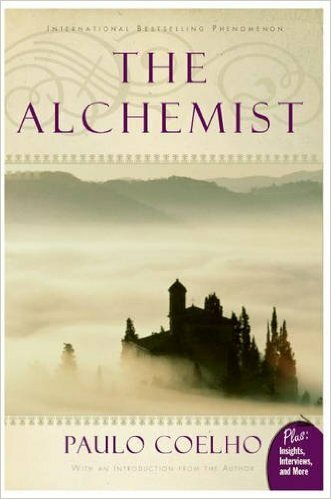 After a perhaps too long hiatus of reading for pleasure, I picked up The Alchemist... and read it in one day. Simple enough for a high school student to read, but profound enough for anyone who has begun their journey in life. This book is a must read for event professionals needing a reminder of why they do what they do, and to re-light the spark. "Love is the surprising emotion that company builders cannot afford to ignore. Genuine, heartfelt devotion and loyalty from customers — yes, love — is what propels a select few companies ahead. Think about the products and companies that you really care about and how they make you feel. You do not merely like those products, you adore them." CEO and founder of AHA! a productivity management and road mapping software, Brian de Haaff shares how he has made his own technology businesses such a success - and how company owners, event professionals, career individuals of any capacity - can do the same: through love. “If your customers love you, they will not only remain fiercely loyal but become your most powerful marketing asset. 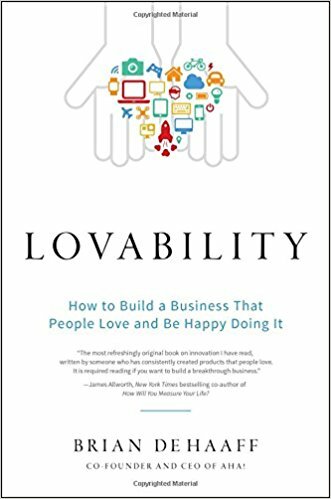 Lovability is the greatest predictor of business success.” ― Brian de Haaff.